All Your Wants and Needs Fulfilled Forever opens with a gag about how brilliantly relatable Simon, the show's white, male, hetero protagonist is. He's also a long distance runner, wears glasses, enjoys videogames and writes for culture websites. Very soon I was starting to feel that he a little too relatable. Thank god I don't own pet rats or things would have started to get really weird. Set in Wellington, New Zealand, we follow Simon (Eli Kent, writing and performing) as he navigates some tricky life challenges. His father has recently died after suffering a debilitating illness; his girlfriend is about to move to Sydney and his mother plans to move to Geneva "to find out who she really is". So far, so typical - were this an ordinary show you'd buckle in for an hour or so of twee indie dramedy that'd culminate with bittersweet tears and, I dunno, probably a Coldplay song or something. But All Your Wants... isn't an ordinary show. For one it's narrated by an omniscient lightbulb who speaks through a speech synthesiser, for another the core drama takes place within a fourth wall busting framework in which we watch the 'backstage' team (Victoria Abbott, Hamish Parkinson and Joel Baxendale) frantically supplying props, voiceover and music in order to keep the audience entertained and keep Simon on course through a strictly Campbellian hero narrative. The meta-narrative puts Simon in incredibly strange dramatic situations. 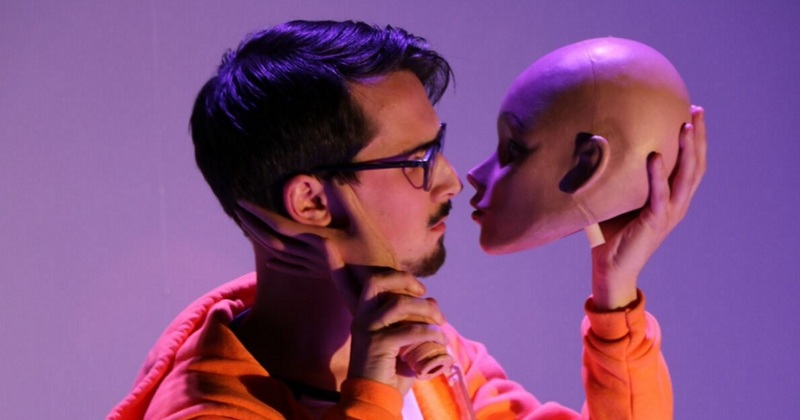 His girlfriend is represented by a naked, bald mannequin that he gently caresses, his mother by a pair of red rubber gloves poking through a slit in the stage and his best friend through a digitally slurred teddy bear. The set, a large box composed of sterile white plastic sheeting, begins to look like a laboratory and our hero its experimental subject. Gradually we understand the show's layered cosmology. Simon has a cage of pet rats yet, unbeknownst to him, he is also a rat in a cage. Around him scurry the stressed, bickering architects of his world. Above them sits the anonymous god-figure that's running the whole affair and imposing dramatic structure on everything beneath it. Along the way the show alludes to various other metanarratives. Simon is compared to reality TV prisoner Truman Burbank (his girlfriend is auditioning for a television miniseries adaptation of The Truman Show), Shakespeare's dabblings in Hamlet and the capability of Super Mario to bust through the brick ceiling of his world and explore hidden rooms beyond the scoreboard. We get asides to countless other fictional works, usually dealing with the same issues: Arnie's Total Recall brain-trip, the bounded Pac-Man endlessly fleeing from ghosts and, to my eyes anyway, the cruel science-chic aesthetic of the Portal games. The fourth wall isn't so much broken as vaporised, and, predictably we conclude with a narrative collapse. It's here that All Your Wants... finally stumbles, descending into a maelstrom of flashing lights, loud bangs and mimed action sequences. These bits make their point effectively, but they're not particularly interesting to watch and frankly, go on a bit. The show's best moments come when it's being subtle. Though Simon may be living in a carefully constructed fiction, his interactions with his mother, girlfriend, best friend and, later, a lamp (bear with me) are particularly well-observed. The girlfriend is literally a prop, but she still gets a neat bit of characterisation in arguing that taking a facial isn't inherently anti-feminist and complaining about being sidelined in the plot. His mother also manages to be both fussily attentive of her son and an individual in her own right. Interestingly, the side characters gradually fold into the personalities of the backstage crew, meaning that we're getting characterisation on them even as they 'play' other characters. All Your Wants... also boasts a solid set of performances, a highlight being Kent's expertly poised body language and energy: jogging about and expertly miming his away around the sparse stage. Victoria Abbott also impresses with her vocal contortions, shuffling characters like playing cards and later displaying a knack for impish videogame character dancing. It's a success, and a funny one at that. All Your Wants... brims over with creativity, throwing so many ideas at the wall that, while some of them flop, lots are bound to resonate. There's an argument that it runs the risk of incoherency, especially in the closing scenes, but I'd much rather an ambitious mess than ordered boringitude. Individual mileage may vary, but as far as I'm concerned this show is a winner. 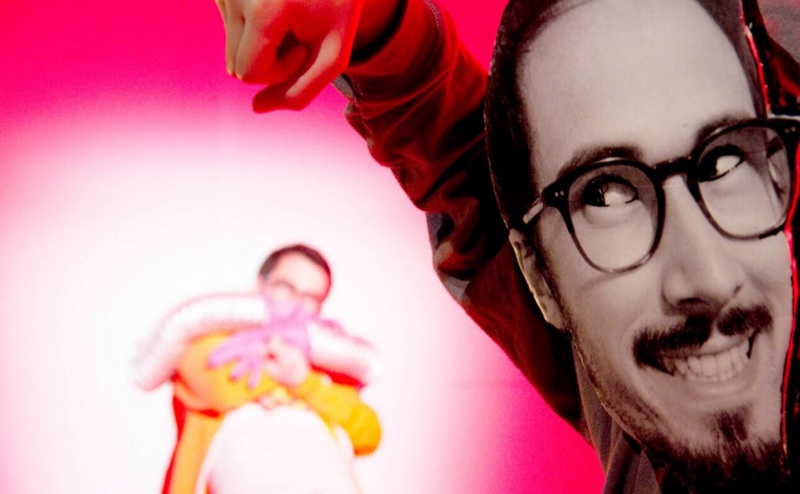 'All Your Wants and Needs Fulfilled Forever' at the Vault Festival until 6th March 2016. Tickets here.